The mindful producer offers a seamless blend of early soul tracks and the gems of Atlanta’s new school. Ducko McFli stays close to his roots. The contemplative producer fuses his love for soulful beats with his close proximity to the booming sounds of Atlanta's rap scene. In 2014, McFli merged his influences when he reworked a sample of Lauryn Hill's "Doo Wop (That Thing)" for Drake's self-aware single "Draft Day." As a gifted beat maker for Mike-Will-Made-It's record label, Ear Drummers, McFli's crafted tracks for both established and rising rap pioneers like Migos, Key!, and Lil Yachty. 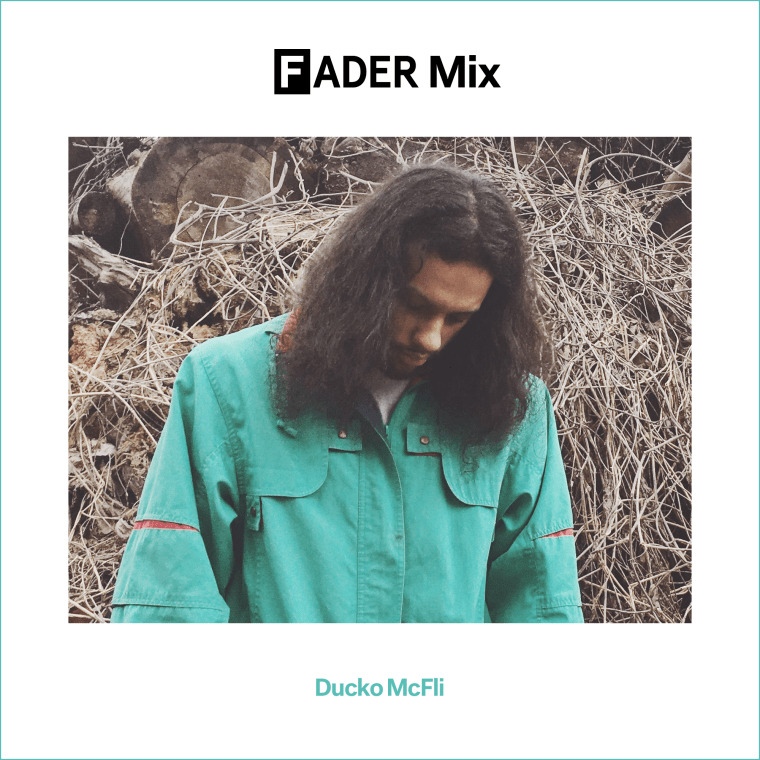 McFli's FADER Mix offers sundry sounds of black music. It includes nostalgic rap earjams like Soul of Mischief's "Cab Fare" and then brings us to a more current R&B groove with Steve Lacy's electric "C U GiiiiiiiiRL." There are also six exclusive tracks from promising Atlanta MC's like J.I.D., Jace, and Reese. Get to know more about McFli's, his love for J Dilla and enjoy the wistful mix. I wanted to make my mix represent the range of music I listen to when I'm working on new projects. This year one of my main goals is making more time to listen to music. This is just a vibes playlists, hopefully I see people just rolling some doobies and chilling. My first time rapping, was a battle that I won in band room before school sophomore year of high school. What did you open up and end this mix with? Why? I open and ended this mix with J Dilla. A lot of the time I talk to people about music and just how much I get inspired to make stuff from all kinds of different genres. To me, Dilla was the master of putting sounds together that didn't belong and making them sound like they did. That's something I always try to do when creating. What influenced the way you paired Atlanta rap tracks with warmer soul instrumentals? I come up and fell in love with production because of classic soul beats, that era of music is what inspired me to really make beats. When I started working with bigger artists, I had to figure out a way to stay true to that sound I love creating, and also be able to actually make it on projects. I've been able to find that by finding a way to mix my Atlanta influences with those soul samples I love working with. What projects do you have geared up for 2017? I'm currently working on a couple collaboration projects with some artists I have been a fan of lately. Me and Jace are finishing up Dreams 2, and I’m also working on a project with Tut from The House Collective out of Chattanooga. Blessings given, I got some big records I'm excited about dropping in the next couple months. Got a joint dropping on the big homie Mike Will’s Ransom 2, and I'm working on my firsts artists I've signed to ColdCuts. Unfortunately I don't read anywhere near as much as I should, but the last book that I read that really changed my life was Blink by Malcolm Gladwell. It's a book about understanding and learning to trust your flash judgement. This industry is crazy, and you can miss your chance just as fast as you can get it.